We typically hear that God did away with the laws of clean and unclean in Peter’s vision. But is that true? Is that really what He did? Let’s go to Peter’s own explanation to find out. In Acts 11:4 Luke tells us, “Peter began explaining in detail what happened.” Then in verse 9 Peter says, “But the voice spoke again from heaven: ‘Stop treating as unclean what God has made clean.’” And at that very moment the Gentiles showed up. What I hear God saying to Peter is that man is created clean and shouldn’t be lumped in with the creepy, crawly things. Can I tell you when I first saw this it blew my mind? How many times have we heard the quote, ‘our righteousness is as filthy rags’? Being a filthy rag is a far cry from being clean. But when we look at the whole of God’s Word, we gain better understanding. God created things in their natural state as common. (Anything that is not holy is common.) 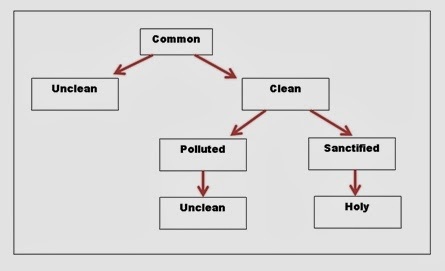 Within the category of common, things are either clean or unclean. Pigs, in their natural state, are unclean. It’s not a judgment against them; it is simply how God created them. Common unclean things can never be made holy. So how do we go from filthy rags to clean? The same way the Israelites did – by believing God and trusting in what He said. God told the Israelites that a blood sacrifice would cleanse them. Through the sacrifice, they could enter into His presence and live. 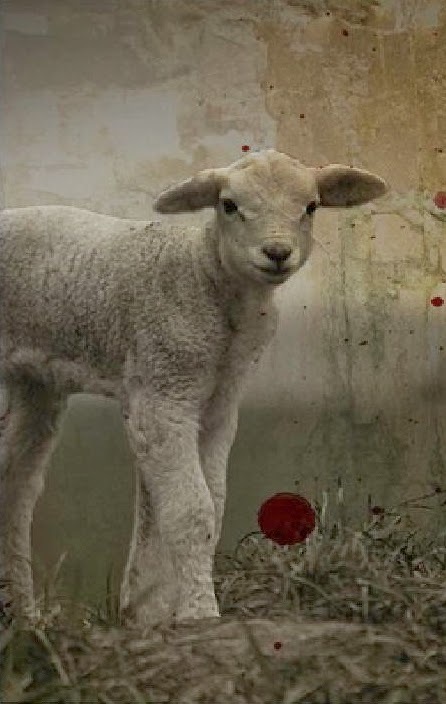 Like them, we believe God when He says that Jesus is the Lamb sacrificed for the sin of the world. Jesus’ blood cleanses us. Jesus makes us clean again. And being clean, we can enter into the presence of the Father and live. Now think for a moment. Because the Gentiles were so polluted with sin (and unrepentant) the Israelites came to believe their natural state – their common created state – was unclean. As unclean, they could never be made clean, which means they could never be exposed to the Holy God and live. So the Lord revealed to Peter in a vision that the Gentiles should not be lumped in with the common unclean ‘four-footed animals, beasts of prey, crawling creatures, and wild birds.’ Instead, Peter realized that though the Gentiles were polluted by sin, God had created them clean. And as such they could repent, be cleansed, and have life. So I ask you, is everything now clean? What’s Wine Got to do With It? 2 Responses to Is Everything Now Clean? Great, great insight, Rosemarie. This was powerful.